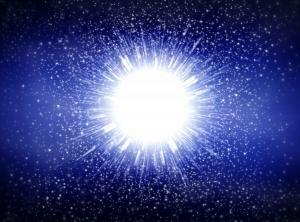 Nothing screams celestial and eternal on a website like animated star backgrounds. This is the perfect set up for someone that simply loves stars, like an astrologist, or even a scientist. These don't belong solely on websites. They can be used on MySpace, Facebook, cell phones, or any number of social network sites. There are numerous types of backgrounds available. Almost any site has a few animated star backgrounds. If not animated, then at least stars themselves. The original and most natural of the backgrounds feature nothing more than the night sky with stars twinkling all around. This peaceful setting will sometimes feature comets in the air. However, those most likely involve code that you will have to pay for. This is a seamless screen that does not appear to have a beginning or an end. It uses only white stars and no colors or strange effects. Some stars appear brighter than others and quite often those are the ones that twinkle. This twinkle is purely an animated effect. The next type of animated backgrounds involve multi-colored stars with a much more subtle twinkling than the original. It is still a seamless screen. However, these involve pinks, purples, reds and perhaps even blues or greens. The animation is definitely less pronounced in this type of background. The dazzling array of colors allow for a beauty without the need for such a high amount of "look at me" animation, which can be distracting. For those that don't like quite so much clutter on their screen there is a single, solitary star. This can stand alone or it can be used in a tiled version with multiple sets of the one lone star. This can be placed into a pattern. When a simple white star is used it can exude a very powerful effect on a plain black screen. If subtlety is something that is needed then this would be the perfect background for a website. There is such a thing as a star wipe pattern. This involves a base layer of stars that is home to fast moving animated star backgrounds. The base layer of stars can be any color, however a darker color like purple is normally used. The pattern of stars starts small and grows larger in increments until it covers the entire screen. The color of these stars is normally a white or similar lighter color. The animation repeats over and over at a synchronized pace. Another option for people to put on their websites is a black screen in which animated stars pop up at any given spot on the screen. Some are brighter than others and seem to jump out at the viewer. Though it may seem that the stars that are popping up are using a random pattern, they are not. There is a long pattern that repeats after a few seconds. For those that want to go all out on their website and have the ultimate animated star backgrounds without paying for it, there is the laser show type. The base layer is smaller, white stars. Another layer contains medium size colored stars and still another layer contains small planets or space ships. The planets and stars appear to blink in and out of sight. Just like with any other animated background, there are a plethora of choices available on free sites all over the Internet. It is simply a matter of finding what you're looking for and then accessing the HTML code. A few clicks of the mouse to copy the code and paste it into the correct place on the website and it will all be in working order. If the site does not work properly then it may be a matter of not copying the entire code. If even one little symbol is missing then the code will not work.